Acolytes of all ages are welcome! Visitors (non-acolytes) are welcome to join as part of the congregation. 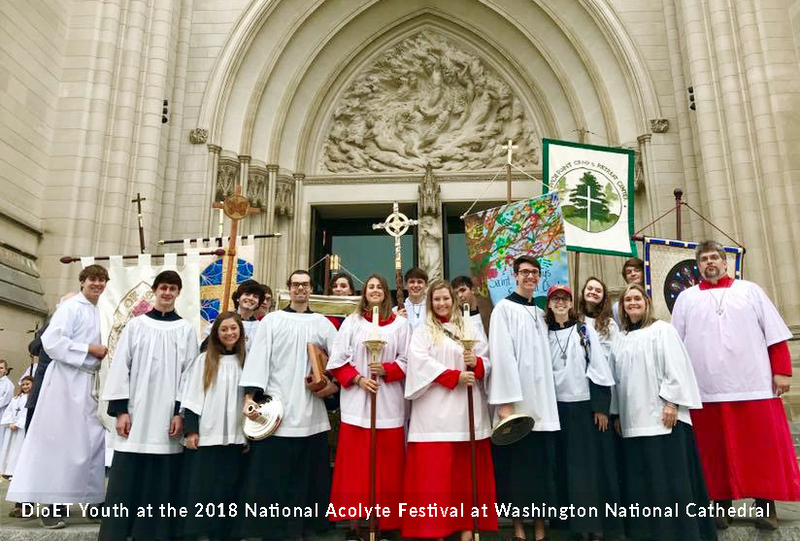 Our Acolyte Festival will begin with a procession of all acolytes from various parishes throughout the diocese. Bishop Brian will be with us to bless the acolytes as they enter and to celebrate Eucharist with us. Following the service, we will offer lunch and a variety of workshops such as Thurifer Training, Acolyte Games, How to Prepare the Altar, and more. We are still working to solidify the workshop offerings. Save the date now! Registration will be coming soon!